Howie Mandel performs at the MGM Grand Theater at Foxwoods Friday. WHAT"S THE DEAL? : Yes, he started out as a comedian, and was a star of St. Elsewhere (remember that show? 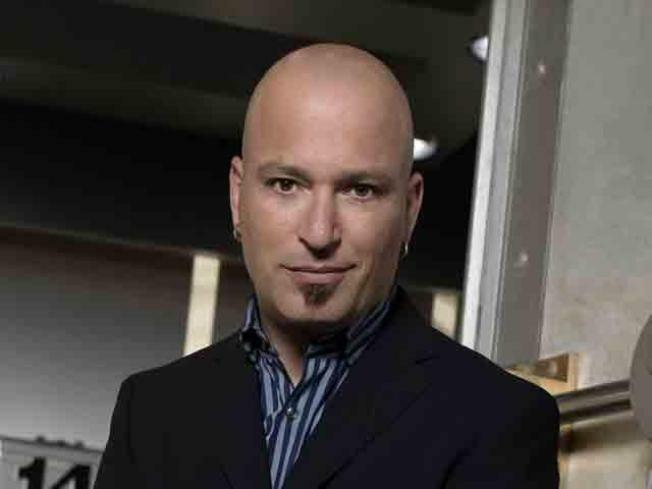 ), but most people today probably recognize Howie Mandel as the host of the hit game show "Deal or No Deal". Friday night he gets back to his comedy roots with a show at the MGM Grand Theater at Foxwoods. Howie has never been known to be low-key and his show will not disappoint. Tickets are $25-$45 for the 8 p.m. show. HERE HE COMES: Fair season in Connecticut is winding down, and the Berlin Fair may be just the way to wrap up a month's worth of eating all that great food, while enjoying rides and games as well. The fair opens Friday and runs through Sunday with pie-eating contests, tractor pulls and even frog-jumping competitions. And if you need a little extra incentive, Micky Dolenz of Monkees fame will be playing with his new band Sunday. The 3 p.m. show will help close out this year's fair. Check the website for times and admission prices. A POUND OF HUMOR: If you're looking for more laughs this weekend, head to the Lincoln Theater at the University of Hartford for an evening with comedian Paula Poundstone. Poundstone is famous for her spontaneity with her audiences. The Boston Globe said "Poundstone improvises with a crowd like a Jazz musician, swinging in unexpected directions without a plan, without a net." Her Saturday show is smack dab in the middle of the school's Parents Weekend. It starts at 9 p.m. Tickets are $25. LUCK O' THE IRISH: Ok, so they've been known to wear kilts from time to time, but Celtic Thunder can also really belt out the tunes. The group of six hails from all over Ireland, and their musical review spans six decades. They entertain with classics all the way through Michael Buble's "Home" and U2's "Still Haven't Found What I'm Looking For". Celtic Thunder will be at The Bushnell for two performances Sunday (2:30 p.m. and 8 p.m.) Tickets range from $49.50-$59.50.